MMA Titan – MMA News, Updates and Information » Jan.
Troubled former NFL Pro Bowler Greg Hardy will make his Octagon debut against Allen Crowder at UFC Fight Night 143 in Brooklyn. ESPN.com was first to report the heavyweight matchup. The division may be on its way out in the long run, but UFC 233 is nonetheless going to feature some of the sport’s top flyweight talent. I guess those “talks” broke down. Boxing icon Manny Pacquiao will make his return to the “sweet science” when he trades leather with former four-division world champion Adrien Broner in a WBA welterweight title fight scheduled for Sat., Jan. 19, 2019 inside MGM Grand Garden Arena in Las Vegas, Nevada. Sorry DAZN subscribers, this one airs exclusively on Showtime pay-per-view (PPV). Pacquaio (60-7-2), who turns 40 in less than a month, was last seen knocking around Argentina’s Lucas Matthysse last July in Malaysia (watch it). The 29 year-old Broner (33-3-1, 1 NC), meanwhile, is coming off a 12-round draw opposite Jesse Vargas back in April. 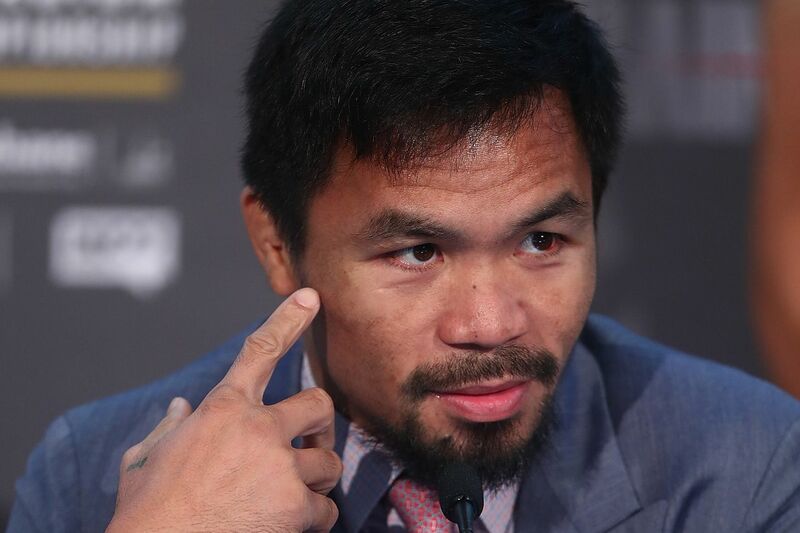 Tickets for Pacquiao vs. Broner go on sale this Sat. (Nov. 24) and start at $ 1,500, $ 1,000, $ 750, $ 500, $ 300, $ 200, $ 100, not including applicable service charges. Boxing fans can order seats online through AXS.com, charge by phone at 866-740-7711 or in person at any MGM Resorts International box office. A previously rumored clash between Paige VanZant and Rachael Ostovich is now set for the UFC’s debut on ESPN+ next year. Bellator MMA heavyweight grand prix finalists Fedor Emelianenko and Ryan Bader will settle who wins the tournament, as well as the heavyweight belt, on Jan. 26 at The Forum in Inglewood, California. Another Ultimate Fighting Championship co-main event looks to has fallen by the wayside.